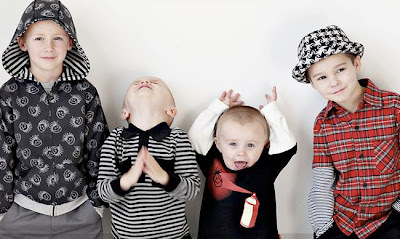 Babblings of a Mommy: Boys Be Cool Knuckleheads Giveaway. Boys Be Cool Knuckleheads Giveaway. Do you have a boy? Wait, scratch that. Do you have a boy with some style?? Then not only will you be interested in my friend Julia's website Boys Be Cool, for the chic-onomic parents who raise stylish, cool, and confident boys on a tight budget, but you'll also enjoy this AWESOME giveaway she has going on right now with the Knuckleheads brand! Two sets of these adorable Skivvies are up for grabs! Go HERE to find out more information and enter to win!